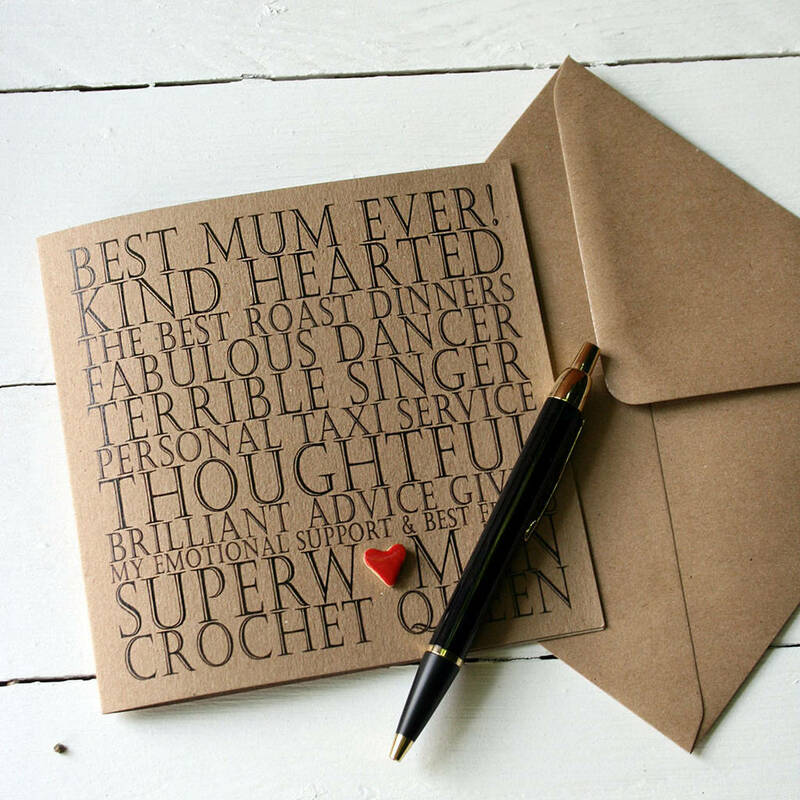 A personalised Mother's Day card with handmade ceramic heart detail. The most unique and thoughtful card for Mother's Day this year. 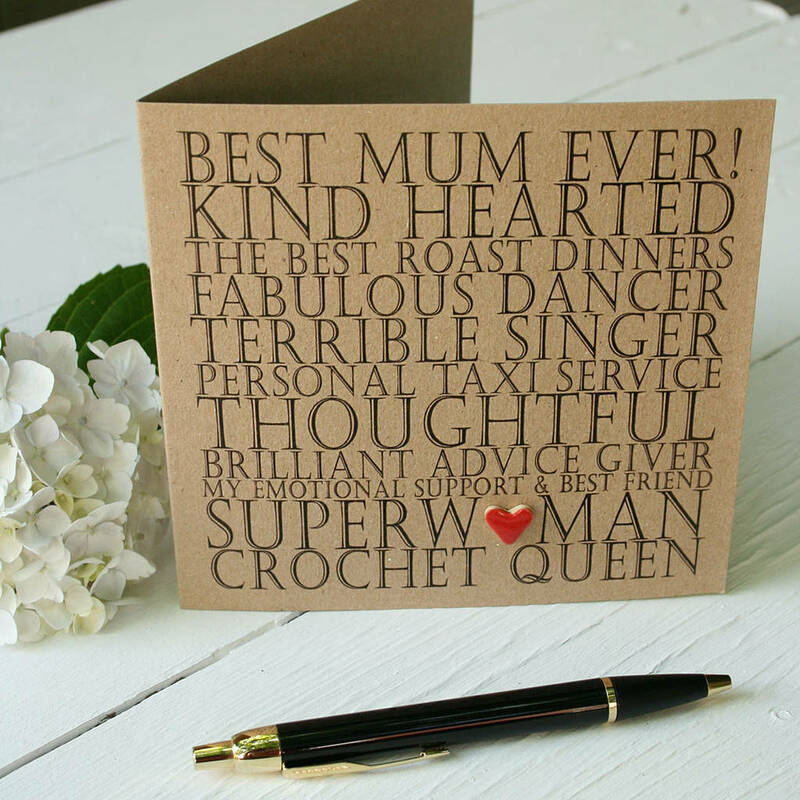 Created from all the things that remind you of your mum, finished off with a handmade red ceramic heart. The ceramic heart will replace one of the letters of your chosen text (usually the 'O'). Each card comes with a matching envelope in a clear cellophane bag. Ideas for text : hobbies, favourite perfume, job, favourite foods, favourite tipple, television programmes, nicknames, holidays you've shared, personality traits, talents. Please Note: A mixture of one word and longer phrases work better. The phrases can be no less than 8 letters long and no more than 20 letters. 100% recycable card and ceramic.